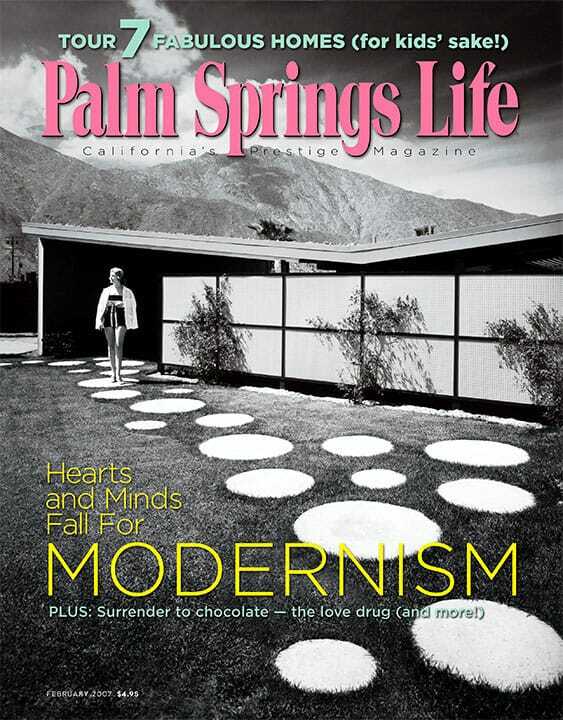 ON THE COVER – Mrs. William Krisel in front of the Alexander Residence, Royal Desert Palms, 1957. Copyright © J. Paul Getty Trust. Used with permission. Julius Shulman Photography Archive Research Library at the Getty Research Institute. Aficionados swoon over the midcentury qualities that prevail in today’s design. Far sexier than kelp, this stuff satisfies and keeps you in deliciously good health. The signature elements in Denise Robergé jewelry cast the renaissance woman a 22k legacy. When they’re free from their own range, culinary professionals enjoy other restaurants. A big, flat sign fades into dusk at the home of National Chloride Co. of America — and art flickers in the darkest desert. By Janice Kleinschmidt, Elizabeth Schmitt, and Lisa Marie Rovito. Falconry in the High Desert; customized swimming pools for specialized interests; a new place to stay fit at Mission Hills; and furniture with a higher purpose. By Mark Christensen. Photography by Andrew Yeadon. Carmakers unveil their finest new designs (and a few duds) at the L.A. Auto Show. Eberhard Hueckstaedt at The Hart Gallery, Modern masters at Eleonore Austerer Gallery, and Don Kracke at The Wright Image. Champagne houses make carbon dioxide fun. Pass on the ABCs of money management. Once upon a time, a teacher built a storybook house in Snow Creek. Follies, triumphs, and close calls. Children’s Discovery Home Tour of the Desert. 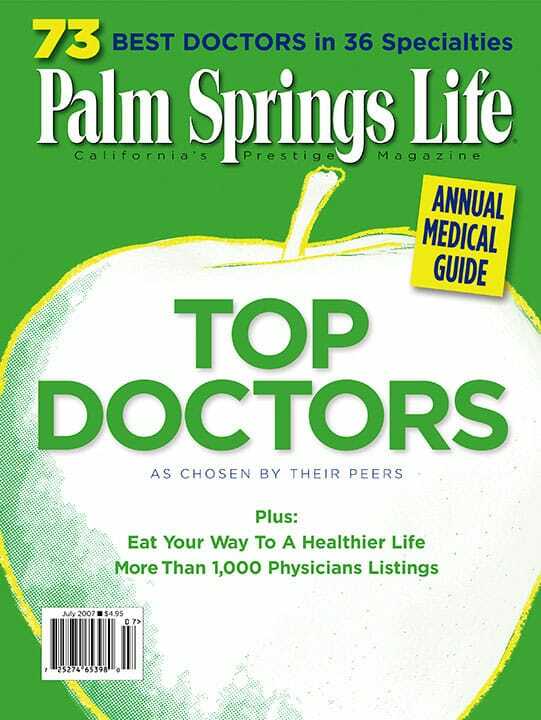 The ultimate guide to El Paseo, Palm Desert’s avenue of elegance.